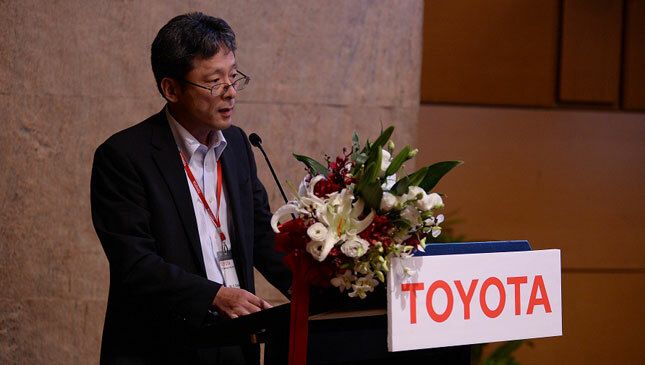 After a historic six-year term, one that saw the country’s number one carmaker soar to unprecedented heights, Michinobu Sugata stepped down as Toyota Motor Philippines president last night. In a simple but elegant ceremony attended by dealers, industry executives and media, the leadership of TMP was handed over to Satoru Suzuki. 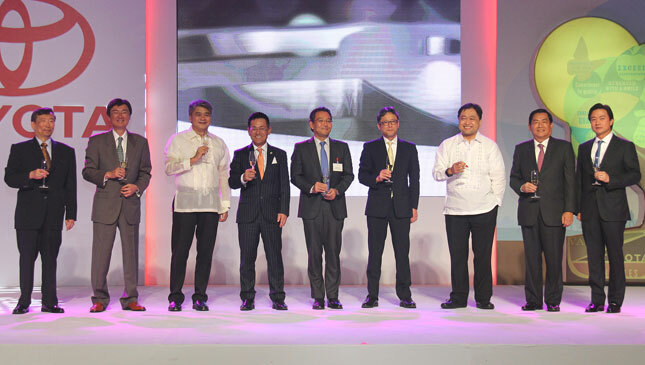 Sugata leaves Toyota’s Philippine operations with several sales milestones during the course of his term. TMP sold more than 125,000 units in 2015, Sugata’s last full year as president. 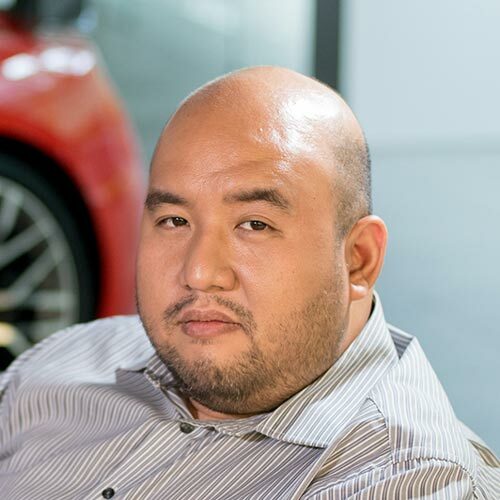 He is also credited with revitalizing local motorsports by pushing for and pulling off the Vios Cup. Sugata even gave a special mention to his pet project during his farewell speech: "It has truly been a Waku Doki experience for all of us, with the heart-thumping adrenaline rush the Vios Cup has given the racers and the spectators alike. Yes, this is my baby that I’m leaving you here, and so please take care of it. I believe that motorsports in this country will soon shift to higher gears." The outgoing president remained optimistic about TMP’s prospects, given the current business outlook and considering who will succeed him. Sugata described Suzuki as "the best Toyota executive to succeed me." Suzuki is no stranger to the Philippines. He was assigned here from 1997 to 1999 as marketing vice president in charge of sales and product planning. 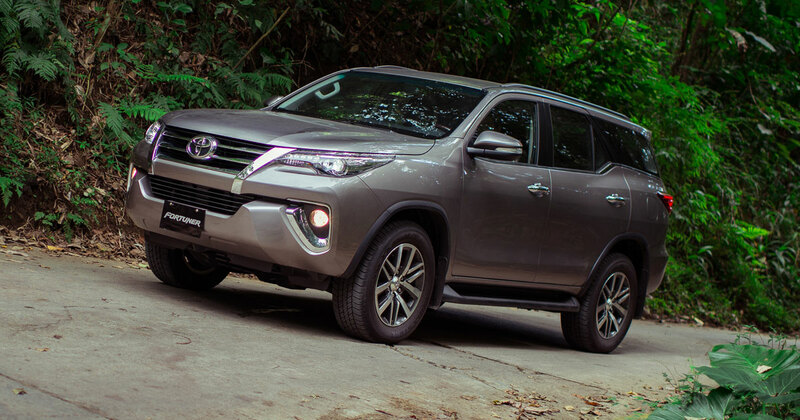 The Japanese exec seemed eager to take on his new challenge: "It is a great pleasure once again to join Team Toyota Philippines after 16 years. I am eager to build strong partnerships with you in the coming days because I firmly believe that with your firm support, we can all make a positive change to usher the country toward becoming a key player in the regional automotive scene." As Sugata-san returns to Toyota HQ in Japan, he leaves big driving shoes to fill. Suzuki will begin his term launching two of Toyota’s most important products, the Fortuner and the Innova. But with his experience and the management team that TMP has, we won’t be surprised if more milestones are in store for the brand in the future.